The poaching menace has in recent times intensified threatening wildlife population in many nations across the African continent. This last month, Kenya’s president Uhuru Kenyatta set ablaze the largest haul of ivory ever as a sign of the government’s commitment in fighting the vice. In moves aimed at protecting wildlife populations, various nations across the continent have been using technology to track and observe the movement of animals. The technology has also been used for surveillance efforts, with rangers able to see the poachers from a vantage points and avert their planned attacks. Drones have been the most popular of these technologies. 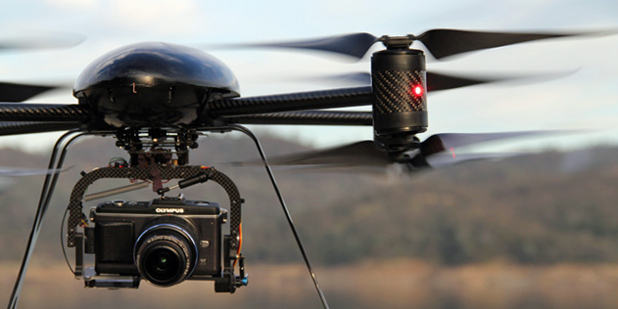 In 2014, the Kenya Wildlife Service announced it will employ the use of drones to fight poaching in Kenya. The surveillance drones were meant to supplement efforts of aircraft by first tracking endangered animals including rhinos and elephants. They would also identify poachers and relay the same information to KWS rangers who would then take measures to wade them off. These efforts were also bolstered by the launch of an app called Fulcrum in collaboration with International Fund for Animal Welfare (IFAW). The app identifies, tracks and destroys poacher networks by relying this information to authorities who take the necessary action. Fulcrum’s technology has been employed in businesses and cities to collect forms and field data. The technology has also been used in counter-terrorism efforts. Tanzania has also adopted technology to quash poaching. In a move sanctioned by Tanzania’s ministry of Natural Resources and Tourism, the Unmanned Aerial Vehicles will be deployed in Tarangire National Park in Nothern Tanzania. The deployment will take place over six months with equipment delivered and personnel necessary for the operations trained.